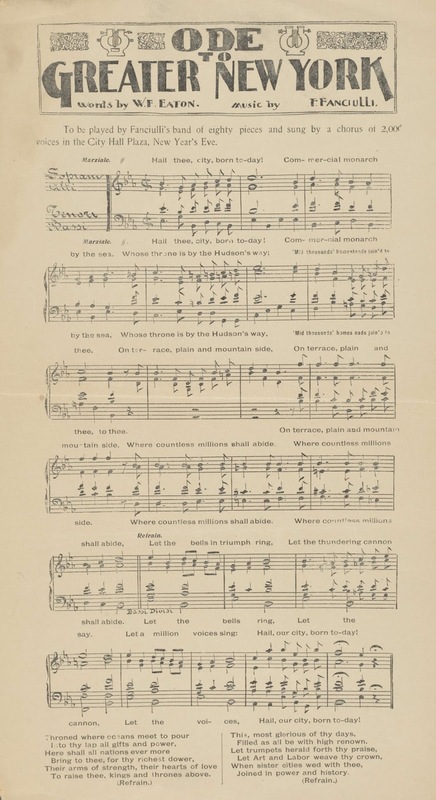 One of the many gems in the digital collections of the New York Public Library is this piece of sheet music for an ode to be "sung by a chorus of 2,000 voices in the City Hall Plaza, New Year's Eve" in 1897. 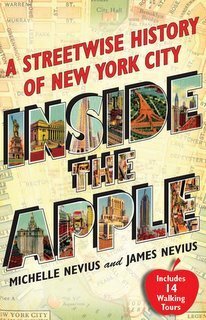 That night was the last that New York City's territory consisted of Manhattan and a slim portion of the Bronx. 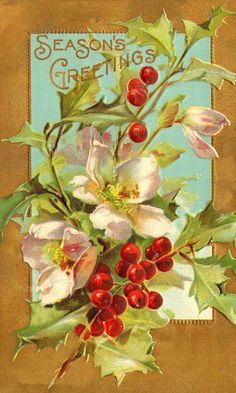 The next morning, January 1, 1898, the city would officially consolidate into the five boroughs, with Brooklyn, Staten Island, Queens, and the rest of the Bronx coming into the fold. The song begins, "Hail thee city, born to-day! / Commercial monarch by the sea," which underlines immediately the reason why the city was expanding. 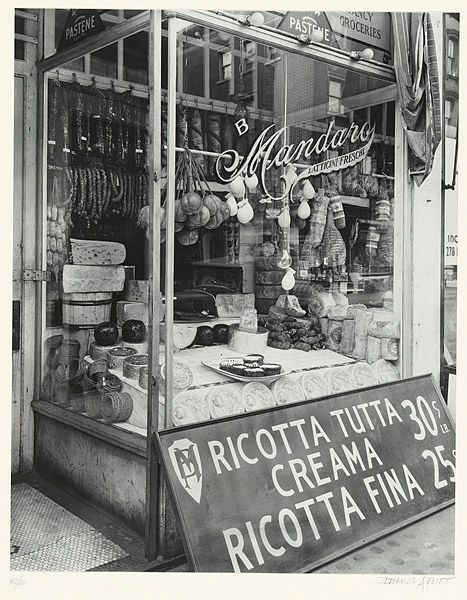 As New York was beginning to see its commercial status erode to cities like Chicago (then second most populous in the country), the unification of Brooklyn and Manhattan was seen as a good way to ensure the city's enduring mercantile prowess. The song's final line -- "When sister cities wed with thee / Joined in power and history" -- is a nod to Brooklyn, which Manhattan saw as having a parallel history and a natural extension of New York's territory. 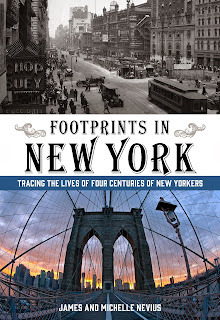 On December 31, 1897, an electric trolley car wended its way across the span of the Brooklyn Bridge for the first time. Employees of the trolley company made last-minute adjustments to the electric cabling and then, a few minutes before midnight, the Columbia and the Amphion—two “sumptuous” trolley cars (in the words of the New York Times)—ferried a delegation of Brooklyn dignitaries to Manhattan to celebrate New Year’s Eve. When the trolleys took them home again at the end of the party, their city was gone. At the stroke of midnight, Brooklyn had ceased to exist as an independent entity. It was now just one of five boroughs. 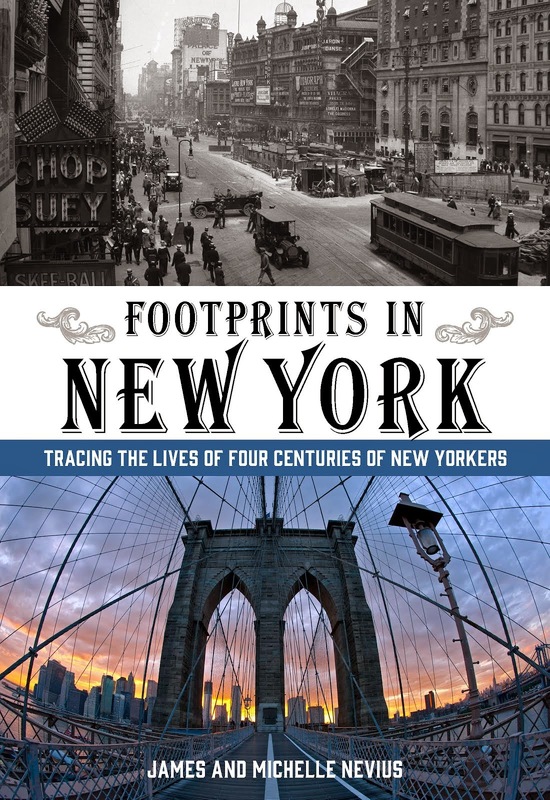 On the Manhattan side, a celebration thrown by William Randolph Hearst’s New York Journal was hampered by rain that turned to snow by midnight; still, an estimated 100,000 people came out to cheer the beginning of the new city. Just a few years after five-borough consolidation, New Year's Eve celebrations moved from City Hall Plaza up to the newly minted Times Square. You can read all about the Times Tower and the annual ball drop in one of our most popular blog posts here. This postcard view of the New Jersey approach to the Lincoln Tunnel isn't, perhaps, the most scenic view in the world, but serves as a good reminder how exciting the opening of the tunnel was back on December 22, 1937 -- seventy-nine years ago today. The first person to drive through was Omero Catan. 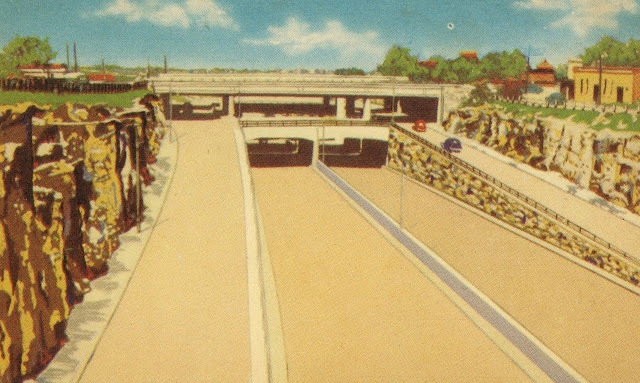 Known as "Mister First," Catan's lifelong obsession was to be the first person to experience new modes of transit, whether that was being the first person to buy a token for the IND subway expansion, the first to drive on the New Jersey turnpike, or the first to travel under the Hudson in the Lincoln Tunnel. In all, Catan was first at over 520 opening-day events. Originally consisting of just two lanes -- one in each direction -- the tunnel was gradually expanded to its present width of six lanes by the late 1950s. Approximately 109,000 vehicles pass through each day. 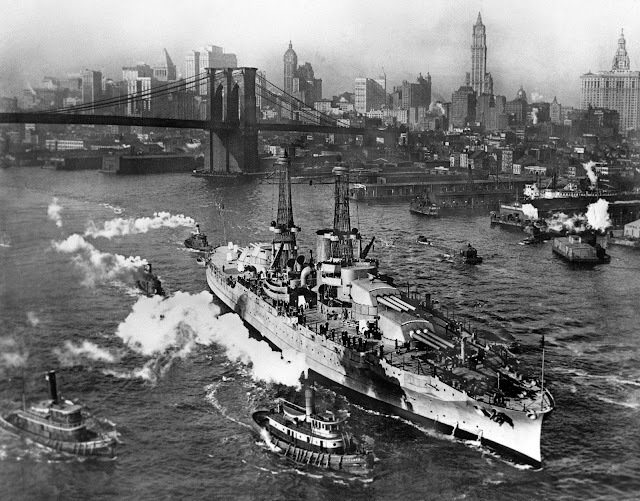 New York was only the capital of the United States for a brief time, but many important things happened during the city's tenure as the seat of government. Perhaps none is more central to our daily lives than the passage of the Bill of Rights, the first ten amendments to the Constitution. The Bill of Rights [warning: PDF], primarily written by future president James Madison, was designed to address what were seen as deficiencies in the Constitution, especially among anti-Federalists, who thought the original document ceded too much power to the federal government and didn't do enough to protect individual rights. 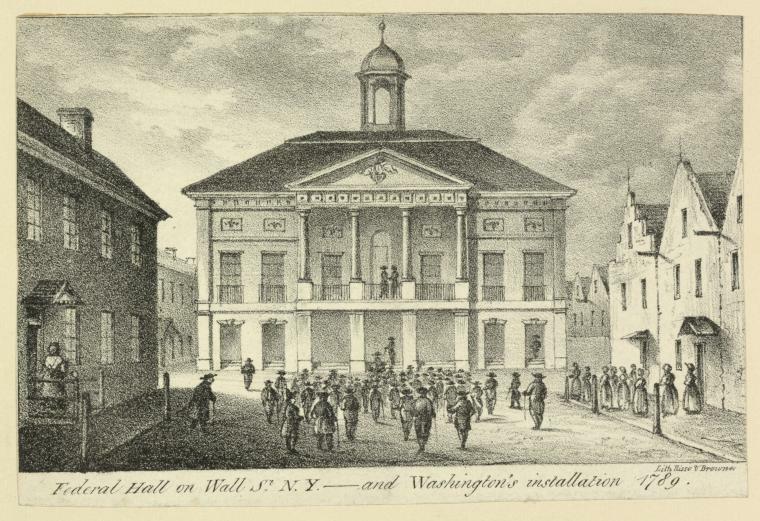 The House of Representatives, meeting in Federal Hall on Wall Street (pictured above), actually voted in favor of 17 amendments. Once the laws reached the Senate, they were combined and rewritten into 12 amendments, which then passed to the states for ratification. On December 15, 1791 -- 225 years ago today -- Virginia became the final state to agree to ten of those twelve amendments, putting the Bill of Rights into effect. What became of the other two amendments passed along to the states? One, which proposed a system for ensuring that the House of Representatives was never too small -- and that bolstered the power of less populous states -- couldn't garner the votes for passage. The other amendment, regarding congressional pay raises -- first ratified by Maryland in 1789 -- was finally approved in 1992 and became the 27th Amendment, 201 years after the rest of the Bill of Rights became the law of the land. Meanwhile, by the time the Bill of Rights had been ratified, Federal Hall was no long the seat of government. A deal between Madison, Thomas Jefferson, and Alexander Hamilton at Jefferson's home on Maiden Lane moved the capital to Philadelphia in 1790 and, ultimately, to Washington DC. 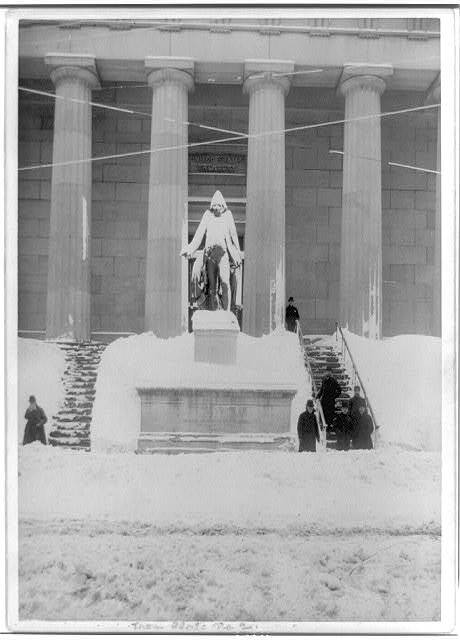 The Federal Hall pictured at the top was torn down in 1812 and today's Federal Hall National Memorial (originally the US Custom House, shown here under a blanket of snow during the blizzard of 1888) went up in 1842. Yesterday was the 75th anniversary of the bombing of Pearl Harbor and the sinking of the USS Arizona, which now forms the centerpiece of the memorial on Oahu. Like many naval vessels of that era, the Arizona was manufactured right here in New York City. Here's a photo of its maiden voyage from the Brooklyn Navy Yard on June 19, 1915. She was named for what was then the newest state in the union and was officially commissioned the following year. 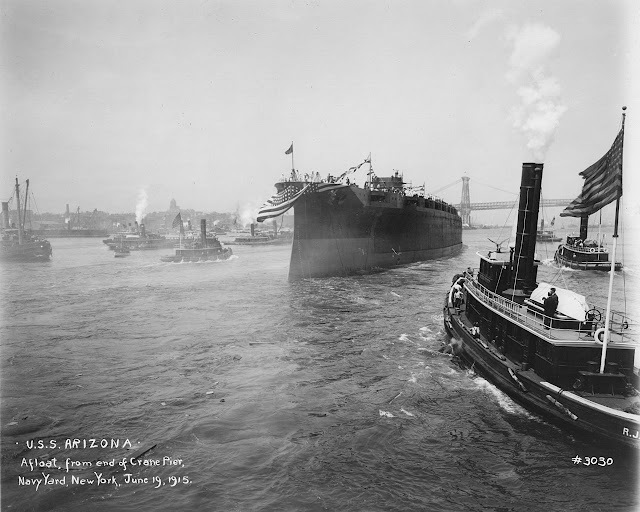 The shot below shows her heading up the East River and was taken sometime in 1916. Note the recently completed Municipal Building (far right), the Woolworth Building, and just to the right of the Brooklyn Bridge, the spire of the Singer Building. Sometimes, there's a method to postponing Postcard Thursday by a day. (At least that's the story to which we are sticking.) For example, today -- December 2 -- is the birthday of New York City's oldest commercial airport, LaGuardia, which opened on this date in 1939. The famous story is that in 1934, Mayor Fiorello La Guardia was flying back from Pittsburgh but refused to disembark from his plane in New Jersey since his ticket read "New York." The airline, TWA, agreed to fly him to Floyd Bennett Field in Brooklyn instead. The whole thing was a publicity stunt, as reporters were waiting in Brooklyn to hear the mayor complain that New York City was losing out by not having a major commercial airport. 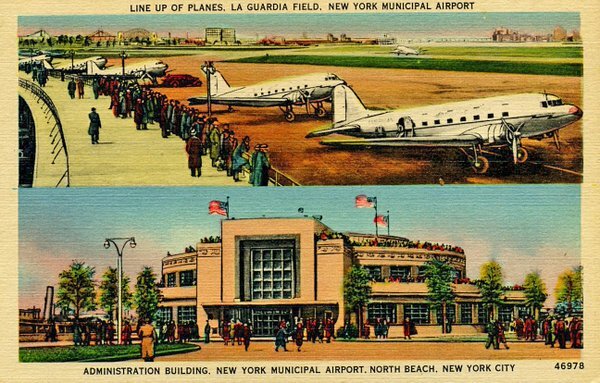 Five years later, La Guardia got his wish when the New York Municipal Airport, opened in Flushing, Queens. Almost immediately, the term "La Guardia Field," was attached to the airport, and by 1947 the name was officially attached. Somewhere along the line the space between "La" and "Guardia" was dropped. The oldest building at the airport is the Marine Air Terminal, a wonderful piece of a WPA-era architecture and well worth a look if you have time to kill when you are next leaving the city. LGA is currently undergoing a massive renovation, scheduled to be finished by 2021.